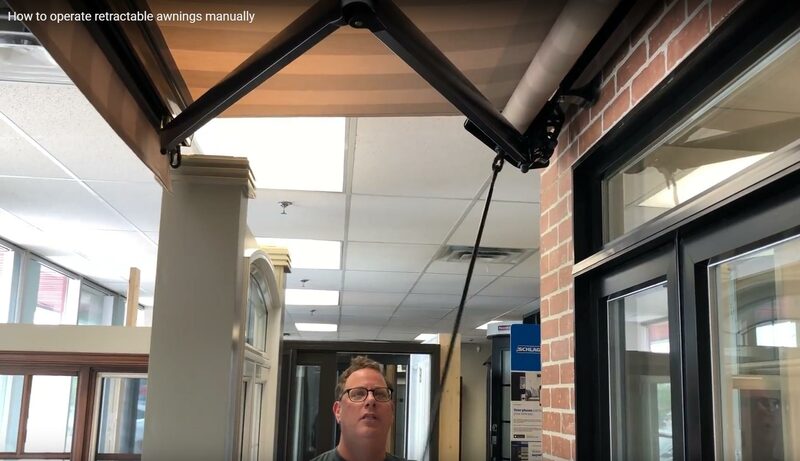 We demonstrate how to use retractable awning manually. For questions and request please give us a call 1-855-579-3051. Most of Welda’s awnings have aluminium frameworks for strength and resilience. The standard patio design will have two arms, although larger models may have three or more. Each arm will comprise two main sections, connected by an elbow joint. When the motor is operated the joints move in a way which is similar to a human arm extending. One or two chains connect the parts of each arm together and hold everything in place.